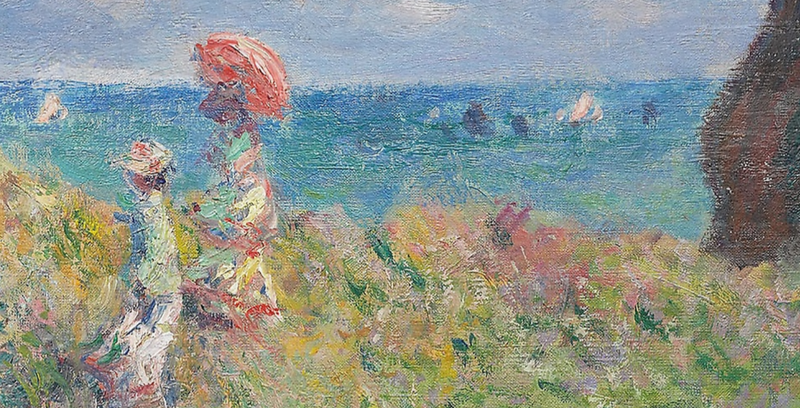 Recently, the Art Institute of Chicago updated its Web site, which included making available – under a Creative Commons Zero license – over 50,000 of its images. This is very exciting especially since the images are in high resolution. 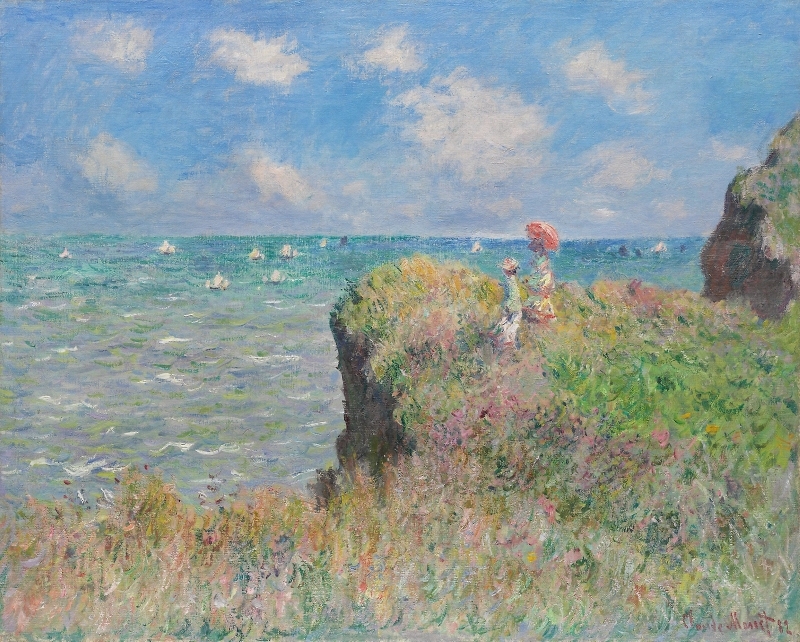 This means that you can zoom in and see the pictures in considerable detail like I did with the image posted above, a section of Monet’s Cliff Walk at Pourville, posted in full below. Given the Art Institute’s exceptional collection, this is a tremendous resource for art lovers, students, educators, and beyond. I am very interested in this! Thank you so much. This upset me, but why is hard to explain. For background, around 2005 or so I indulged a compulsion and downloaded thousands to tens of thousands of high quality art images. The sites are still around, some were museums, some were from catalogs and I didn’t ask questions. The facticity, that Nighthawks is an actual object in space belonging to someone and with a pricetag attached bothers me. Not cause communism, Chicago is as public and shared a space as could be desired. Ulysses, Haydn op 50, Winter Light along with commentary are not objects in space but bits stored electronically, distributed all over the world. That an object would somehow claim authority, well no one says a 1st edition Ulysses is the real Ulysses. The physical painting is an effrontery. It is just one representation of ideas and vectors and colors among many. In the age of digital reproduction the aura has moved to the representation rather than belonging to the original. I value the distributed and dispersed Grande Jette, the one of many in the Sondheim and the one on my hardrive more than the original. They are more real. I get a little of what bob mcmanus means, but copying as an act of representation has always cast originals in some sort of light as being valued enough to warrant that act, and thus increasing that value. That’s why the Dead Sea Scrolls are beyond cost, even though hand-copies of later papyri are themselves so valued as individual physical replications. Mass duplication ala Gutenberg then moved that kind of value to first editions just once-removed from the original manuscript, but when it came to music and art–value impressed directly by the senses at a place and time–Gutenberg and Edison had a very different effect, universalizing the experienced contexts to tokened types rather than the tokens themselves that they were taken from. I suppose that universalization increased the value of the visual tokens of art just by popular demand, as did the original recordings of music performances as something like “first editions”. But one-on-one encounter with an original piece of visual art–as I had with Nighthawks–has a value that no type representation can convey. Not that I’m qualified to talk about these matters–I’m not, but maybe someone else can say something more insightful here.